Interface Macro | Socionext Inc.
Socionext provides various DDR interface macros from low-to-middle speed forwarding bandwidth to high-speed forwarding bandwidth or low power, with various process technologies. Moreover, we support development for signal quality and cost optimization through design support by Chip-Package-Board co-design. Compatible with many different DRAM configurations and PKG options, such as Fly-by, PoP, and DIMM thanks to the PHY function (training function). 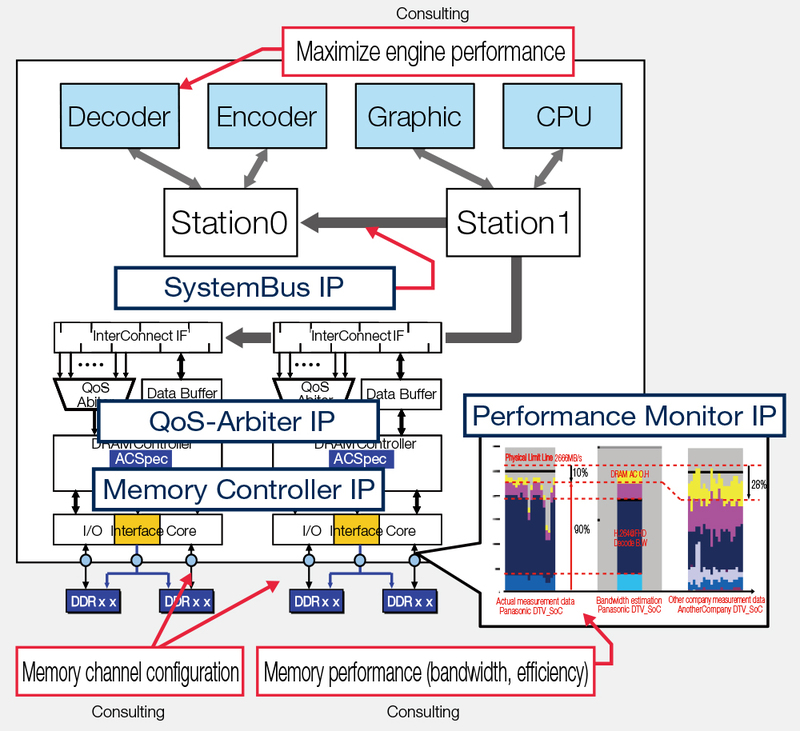 Socionext provides various memory solutions for system optimization. We also offer consulting services on memory systems including memory channels and the system bus to maximize SoC performance. This high-speed interface is used to build a camera and display system by combining high-speed, high resolution CMOS image sensors. This interface provides a solution for highly expressive images. 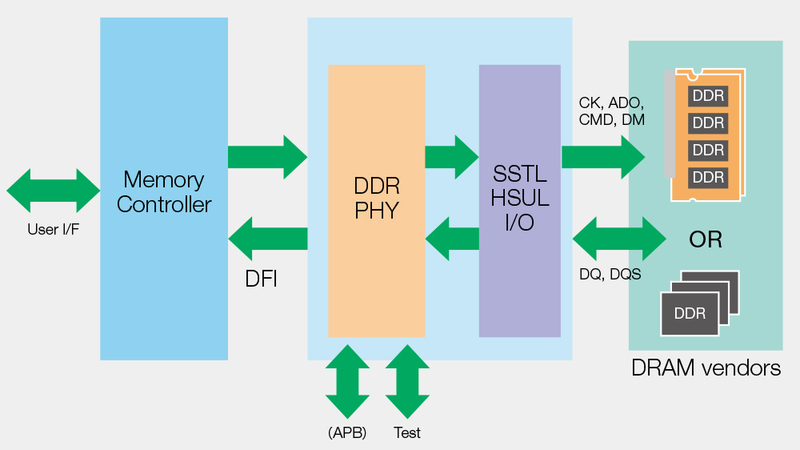 As a result of the recent rapid improvement in CPU processing capability and an increase in the need for high capacity data transfer, it has become extremely difficult to achieve the expected system performance with existing buses. The PCI Express technology is a high-speed interface capable of transferring several hundred megabytes of data that can overcome this issue. Socionext’s PCI Express macro supports up to 8GT/s (Gen3) and passed the PCI Express standard compliance test hosted by the Peripheral Component Interconnect Special Interest Group (PCI-SIG), and its interconnectivity and reliability have been confirmed with many PCI Express interfaces. With transmission performance of 10Gbps–28Gbps per channel and a configuration comprised of multiple channels, we provide a high-performance SerDes macro for constructing 100G/200G/400G optical networks or 100G Ether systems. 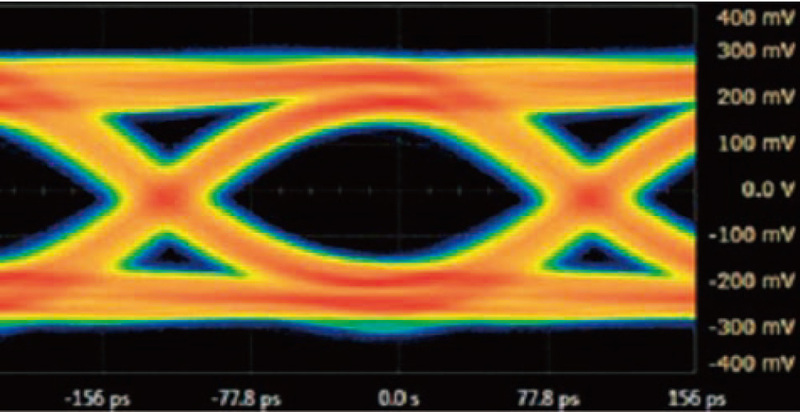 The built-in low-jitter, high-performance PLL enables robust transmission up to 28 Gbps per channel. It also supports various standards including OIF-CEI-11GSR, OIF-CEI- 28G-SR, OIF-CEI-28G-VSR, IEEE802.3ba CAUI, IEEE802.3bm CAUI4, XFI and so forth. 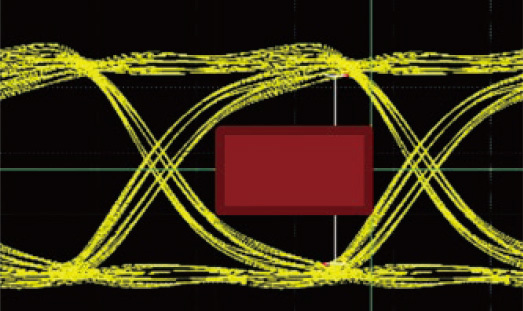 Comprised of Transmitter/Receiver/PLL and capable of bidirectional communication with 1 macro. Up to 112.8 Gbps per macro (for unidirectional, x4 configuration). Support for power-down control on each lane. Support for power-down control for the entire macro. Implementing Clock-Data recovery for each Receiver lane. Built-in termination resistor in Transmitter/Receiver. Organic flip chip package (0.8 mm/1.0 mm Ball Pitch, HDBU Package).